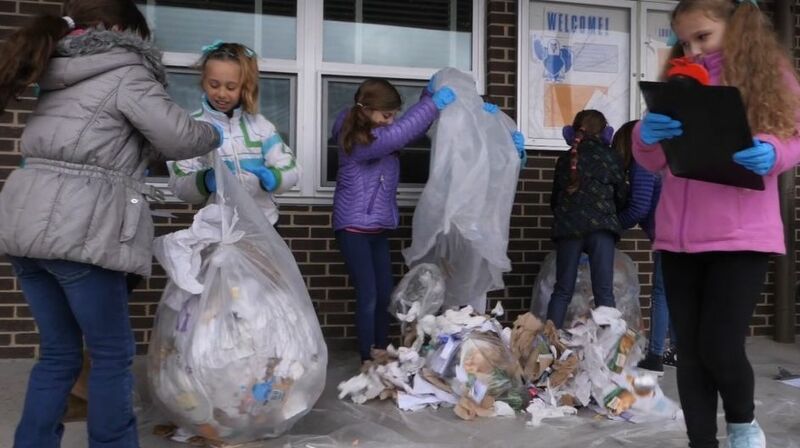 In this week’s episode, Green Scene visits Glebe Elementary School to talk with the students who are part of the school’s Green Team about their waste audit. Students wanted to determine how much trash was actually being recycled and how much was thrown in regular trash cans. In groups, students were asked to sort bags of trash by type of material. Students found that nearly 40% of trash could have been recycled. Based on these results the Green Team will focus on education to better inform the student body, teachers, and community about which items should be recycled. 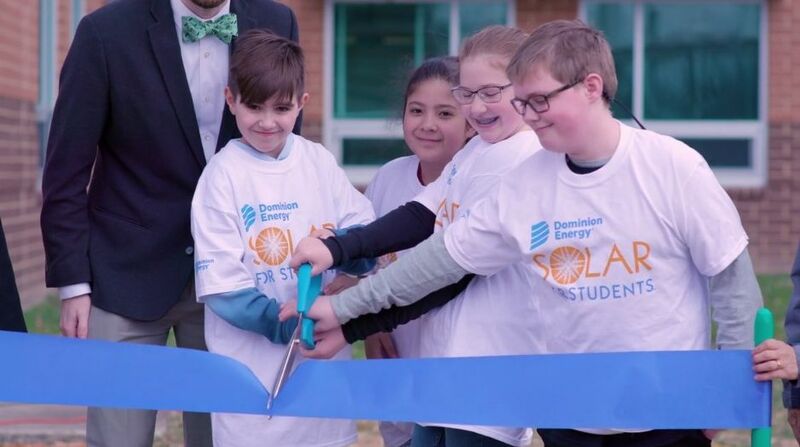 In this week’s episode, Green Scene features Kenmore Middle School’s “Solarbration.” Kenmore was awarded a Solar Panel for Schools from Dominion Power last June. The application to the program was initiated by Science and STEAM teacher Jeff Politizer and Focus Coordinator Shauna Dyer who saw the program as an opportunity to bring hands-on instruction related to solar energy into science and STEAM instruction at Kenmore. With the installation of the solar panel, students will have the opportunity to learn about reusable energies such as solar as well as how electricity is generated. The solar panel will be integrated with the school’s STEAM program. Watch the full solarbration dedication below. 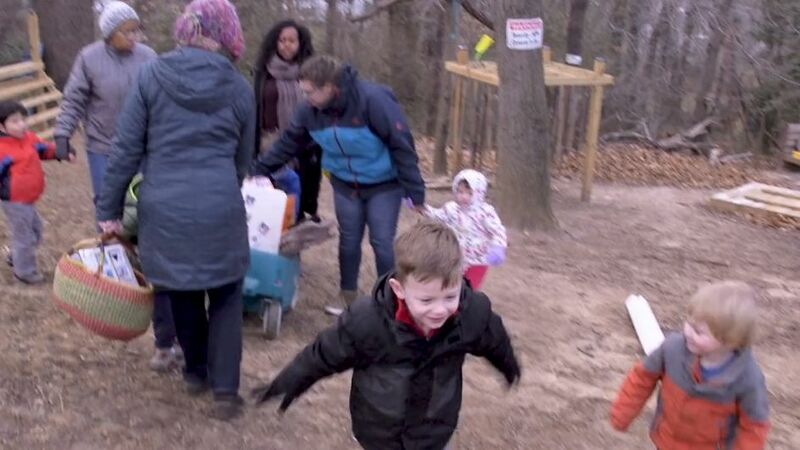 In this week’s episode, Green Scene visits Jamestown Elementary School and talks with Principal Kenwyn Schaffner and teacher Dani Greene about how teachers incorporate outdoor education to help develop the fine motor and linguistic skills of young students by teaching them to have a connection with nature. In this week’s episode of Green Scene, students and staff at Gunston Middle School talk about the perma-garden that they recently built. In this week’s episode of Green Scene, students and staff at Gunston Middle School talk about the perma-garden that they recently built. A perma-garden is a self-sustaining garden that uses non-invasive species to sustain itself. Tech Ed teacher Topher Paterno hopes that this teaching tool will allow students to gain respect for the land and food as well as learn how to give back. 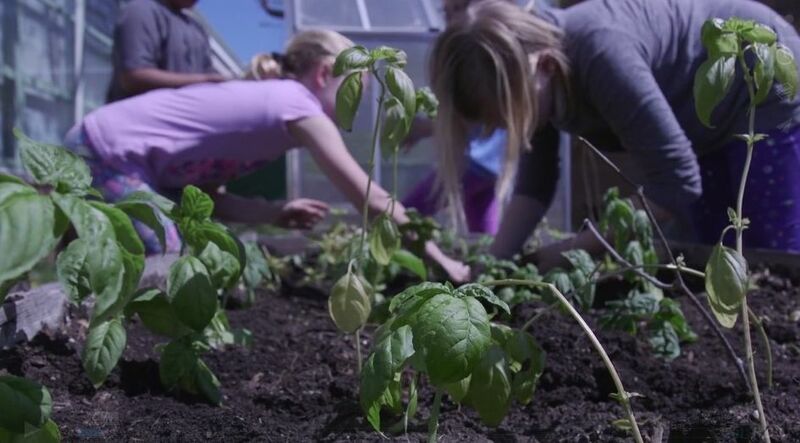 In this week’s episode, Green Scene talks with Campbell Elementary School students and staff about the school’s expeditionary learning project to grow basil. Outdoor classroom teacher Christy Przystawik explains how the APS Food Services Office approached the school about growing basil for vinaigrettes that are made for school lunches.Students learned about plant life cycles while growing the basil. The vinaigrette will be served at Campbell, Carlin Springs and Kenmore. 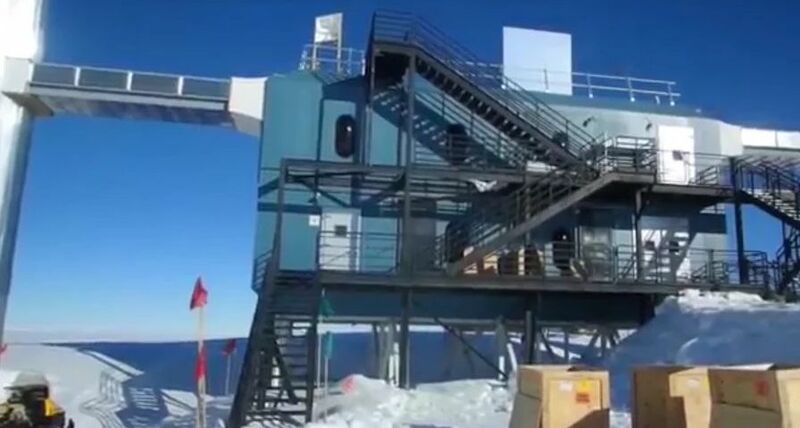 In this week’s episode, Green Scene highlight’s Washington-Lee High School teacher Kate Miller and her recent expedition to the South Pole with Jim Madsen and the Ice Cube Neutrino Observatory team. This past winter, Miller participated as a research team member in an authentic scientific expedition in Antarctica, joining other K-12 teachers who worked in research locations from the Arctic Ocean to Antarctica. The program allowed teachers to experience first-hand what it is like to conduct scientific research in some of the most remote locations on earth. Green Scene is filmed and produced by the Arlington Educational Television Department (AETV) in cooperation with the Arlington Public Schools Department of School and Community Relations. For more information about a program or segment, please call 703-228-6005 or fill out our online form. In this week’s episode of Green Scene, students take recycling beyond “reduce, reuse, and recycle” as they collect food and yard waste to be composted and used in their outdoor garden. Each day, following lunch in the cafeteria, students separate lunch trays, milk cartons, fruit and vegetable scraps, and leftover milk into containers. Food waste is transferred to a bin outside, where it is combined with yard waste for composting. Students participated in outdoor cleanup activities and learned about the differences between manmade and natural waste, and which waste can decompose. Henry Elementary is incorporating the project into all areas of instruction, as students read and write about the composting process, use math to calculate decomposition rates, and conduct science experiments. On Oct. 6, about 20 volunteers from Dominion arrived at Taylor ready to build an outdoor classroom. 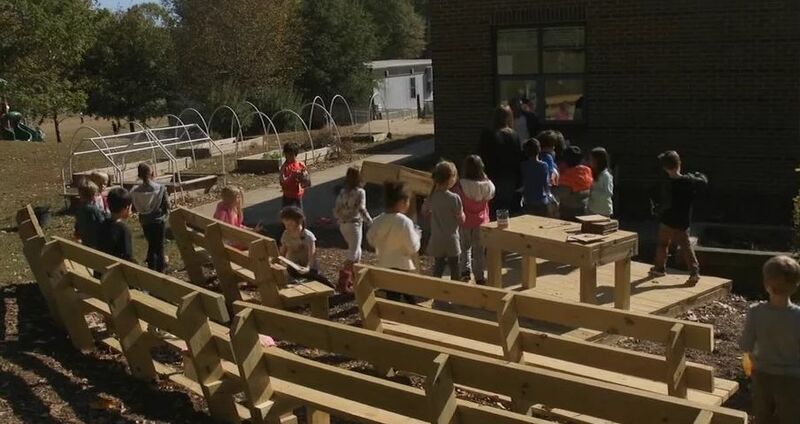 The cost of materials was covered by Dominion, as part of their “Energizing our Communities” initiative to further STEAM learning opportunities through the use of an outdoor classroom. Taylor was selected for one of the two local outdoor classroom projects this year because of its focus on STEAM learning and participation in Project Plant It!, an environmental education program. In this week’s episode, Green Scene celebrates the 50th anniversary of the Outdoor Lab. Take a look back at 50 years on educating Arlington students with footage from the 80s, 90s, 200s and today. The Outdoor Lab was established in 1967 by Dr. Phoebe Hall Knipling for Arlington students to learn about and experience the wonders of science and nature in a hands-on outdoor classroom. Located in Fauquier County, the Outdoor Lab is managed by the Arlington Outdoor Education Association (AOEA) in partnership with Arlington Public Schools. 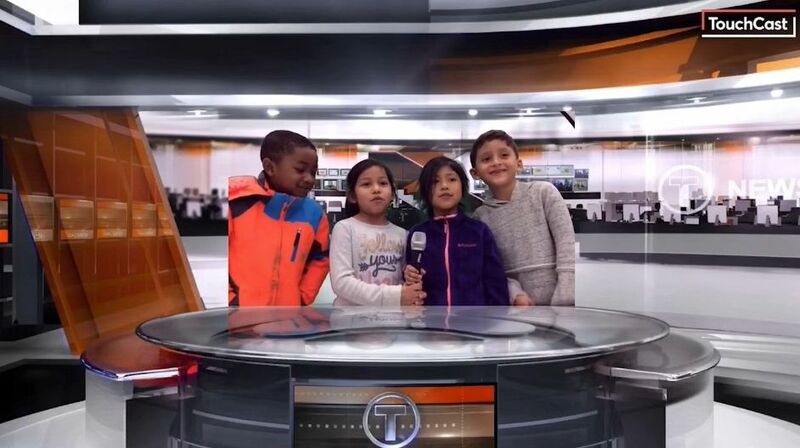 In this episode, Green Scene talks to students and staff about the many alternative ways that students and staff travel to and from school such as biking and carpooling. 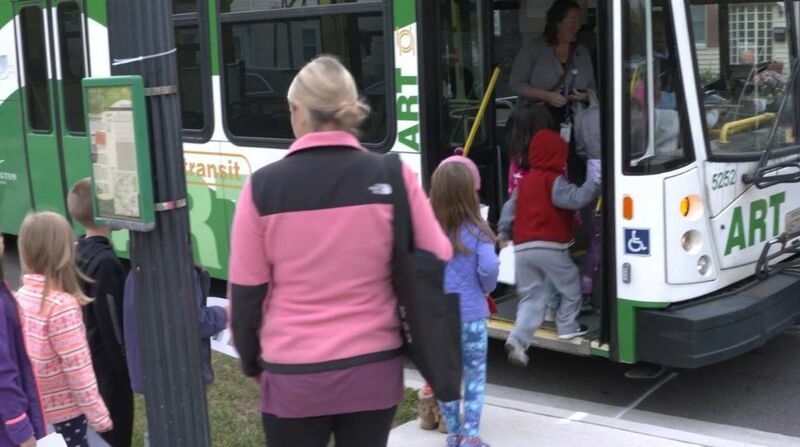 In addition, the episode talks with Arlington Transportation Partners’ (ATP) Elizabeth Denton about the Champions Program. The APS partnership provides recognition and rewards to businesses, multi-family residential communities, commercial properties and schools in Arlington County. This week’s episode of Green Scene previews the fifth annual Operation Rain Barrel which is a partnership with George Mason University. Operation Rain Barrel was created to engage students in learning about environmental sustainability to coincide with George Mason’s Go Gaga for Green event on Sat, April 30 at Founders Hall – Arlington Campus (3351 Fairfax Drive). The event takes place from 5-8 p.m. The public will be able to view all 37 rain barrels and vote for their favorite or favorites! Each “vote” is $1 and people may vote as many times and as often as they wish through April 29. The school rain barrel receiving the most votes during this contest will be announced as our “People’s Choice” winner at Go Gaga For Green. To vote, visit www.gogophotocontest.com/gogagaforgreenrainbarrels. The artistic rain barrels will be auctioned off at the event through a silent auction. Proceeds will benefit the Arlington County Council of PTAs’ scholarship fund, George Mason University’s Early Identification Program and Arlingtonians for a Clean Environment’s Energy Masters Program. “The video shows the life cycle of this endangered species before they are released for their seasonal migration to Mexico. In this week’s episode, Green Scene highlights the Campbell Elementary School Green House. Helped out by donations, including one from the Arlington Community Federal Credit Union, the green house will be used by all Campbell students to learn about the plant cycle, soil, erosion, the water cycle and other scientific explorations. Fourth graders are learning about green houses and the plant cycle as a learning expedition. The fourth and fifth graders are using mostly plastic bottles to make insect mobiles and plastic curtains with beautiful plastic flower bottles attached to them. High school students are making their own sculptures of rainforest animals. They are all learning about the importance of conserving, reusing, recycling and are very excited for the collaboration. ATS art will be displayed in the Yorktown atrium beginning Feb. 24. Career Center Electricity and Sustainable Tech students installed a Hybrid Photovoltaic/Thermal SunDrum Solar HarvestHP System on a house in Washington, DC. Local solar energy expert, Albert Nunez of Capital Sun Group, hired and mentored six Career Center students during the installation of this state of the art hybrid solar powered system which he designed. In this week’s episode, Green Scene visits with Carlin Springs science teacher Beth Prange and her students as they plant bulbs in the school’s Journey North Tulip Test Garden. Each fall, students across the Northern Hemisphere plant Red Emperor tulip bulbs in their Journey North Test Gardens to help monitor seasonal change in a scientific way. In the spring, when the plants emerge and bloom, test gardeners report their data to the maps. In this week’s episode, Green Scene features the Green Apple Day of Service at Abingdon, Discovery and Jamestown elementary schools. Green Apple Day of Service gives parents, teachers, students, companies and local organizations the opportunity to transform all schools into healthy, safe and productive learning environments through local service projects. 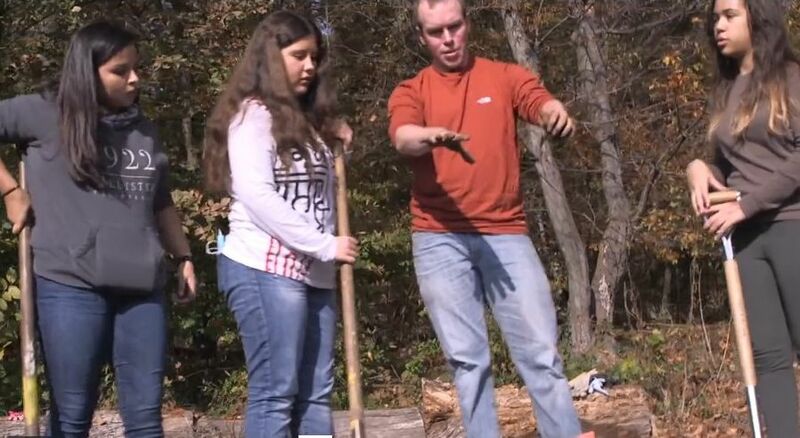 In this week’s episode, Green Scene showcases Wakefield High School’s “Whatever Floats Your Boat Regatta” where students built boats out of recycled material. Over the summer, six teams of students created boats using recycled material and then competed to see which designs could stay afloat and move across the pool. In this week’s episode, Green Scene highlights a unique composting imitative at the Arlington Career Center. Using scraps of food from the culinary arts program, Program for Employment Preparedness (PEP) students are creating compost that they will use to fertilize their greenhouse gardens. Carpentry and Sustainable Tech students built the composting bins.